You don't have to be a sake connoisseur to look like one! 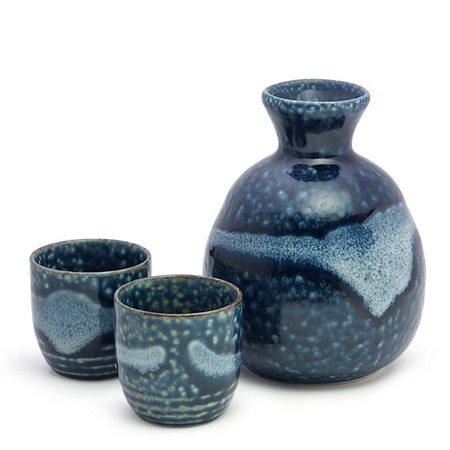 You just need a pretty sake set. And this one really fits the bill. This Japanese sake set includes one sake bottle and two sake cups packaged in a black gift box. Sake bottle: 3.5" diameter x 4.5"h; 12 oz. capacity. Sake cup: 1.75" diameter x 1.75"h; 1.5 oz. capacity.